Driverless cars are in the news almost every day, promising a world of convenient, eco-friendly and stress-free travel. But the safety of driverless cars is also in the news every day. The risks are, of course, being taken very seriously and Nokia is actively involved in finding the best solutions. During the recent 2016 World Internet Conference in Wuzhen, China, we demonstrated our innovative solution that has the potential to dramatically improve road safety. In both the driver and driverless worlds, safety relies on two things: seeing a potential danger and reacting to it quickly. But there are many times when visibility is compromised. By other vehicles, by a sharp bend, by heavy rain or fog. We don’t have x-ray vision: our eyes can’t see around corners or through obstacles. Neither can sensors in driverless cars. But mobile communications can. That’s the promise of connected vehicles that constantly feed information about their environment to other vehicles around them. But the challenge here is latency. Traditional network-based solutions rely on data travelling from vehicles to a server in the cloud then back again. Even with the fastest networks, that can take upwards of 100ms, which is not fast enough to prevent an accident. 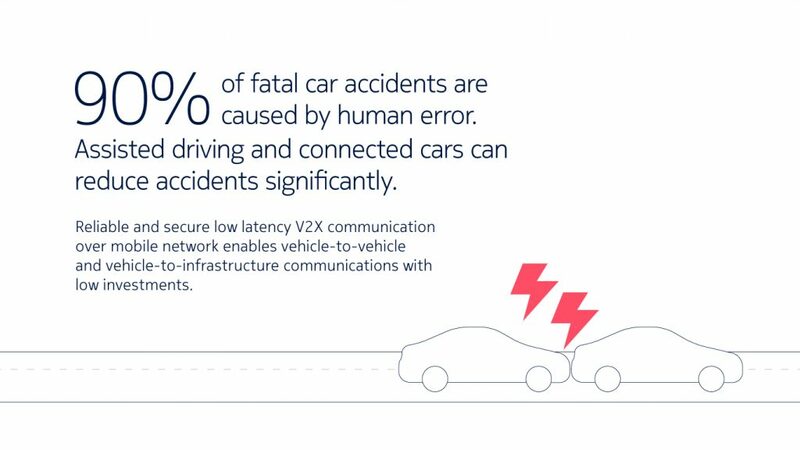 Car2X (Car-to-anything or more widely speaking V2X Vehicle-to-anything) communication solves this problem using our advanced multi-access edge computing (MEC) technology. MEC is about creating local clouds at the edge of an LTE network so that data can travel between devices without passing through the whole of the network. Using MEC in Car2X reduces latency to 20ms or less. That’s fast enough to forewarn drivers and vehicles and for them to react in time. 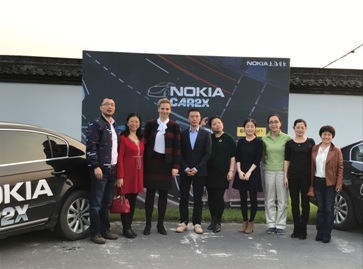 We’ve been working with our partners China Mobile, the Tongxiang government, Continental and Fraunhofer to create real-life (and real life-saving) applications for drivers and we demonstrated these in Wuzhen. For example, how many times have you had a lorry or large vehicle obscuring your view either ahead of you or in your mirrors? Emergency Brake Light lets you know when traffic in front of you slows down, even if you can’t see it. Another application is called Cooperative Passing Assistant. When a car signals to change lanes, Car2X determines whether it is safe. If there is a vehicle approaching at speed, they will get a warning to slow down while the car in front is warned not to change lanes. Following the latest trials, we have signed a Memorandum of Understanding with the Tongxiang government to cooperate further on 5G connected car technologies. Nokia will always strive to develop solutions like Car2X that make the world a safer and better place. See our IoT for automotive webpage for more information.